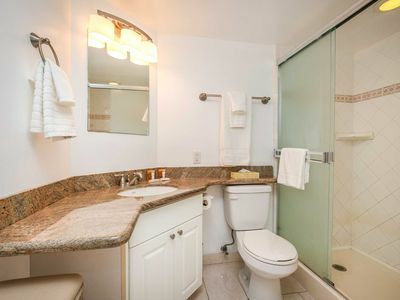 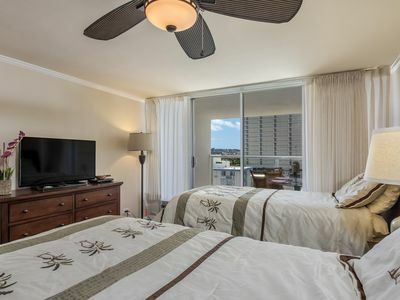 Luxurious unit w/unobstructed ocean views await you at this beautiful, newly professionally renovated unit on the preferred & generally higher priced side of the building. 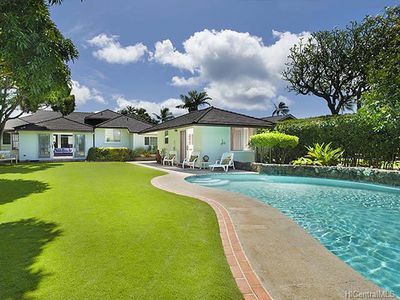 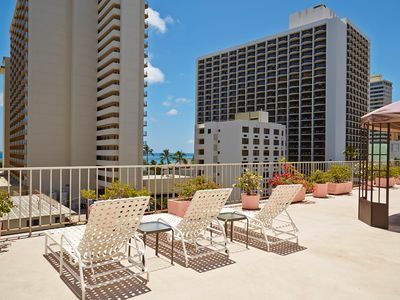 Enjoy morning coffee & afternoon sunsets on the lanai with views of the coastline, breaking waves of Oahu's Premier surf spots, Pacific Ocean, harbor, and mountains beyond. 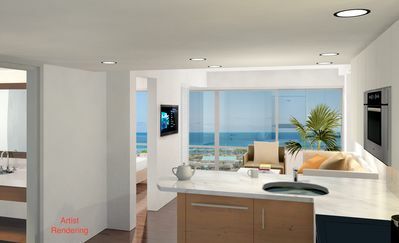 Unlike many units with the Hilton Towers directly in front you as your main view, and the lagoon view only to the side, this unit has the Pacific Ocean as its main view. 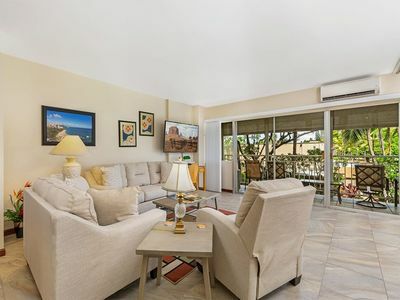 The location of the unit also makes it one of the more private units in the building as it is situated in a quiet corner. 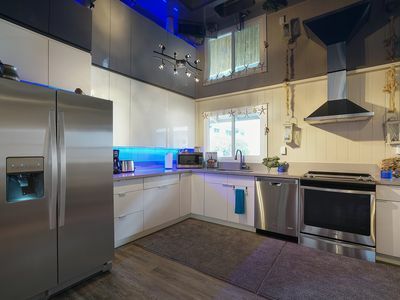 The unit is contemporary, clean, and bright with quartz countertops, stainless steel appliances, stylish finishes, and a fully equipped kitchen, & beautiful new bathroom. 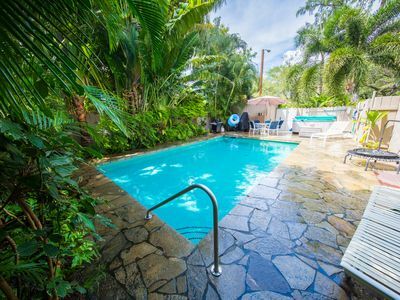 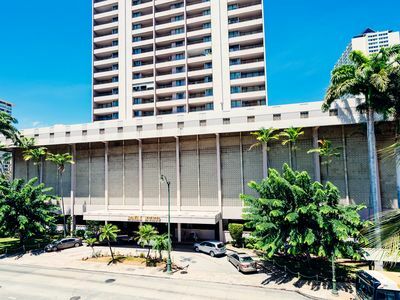 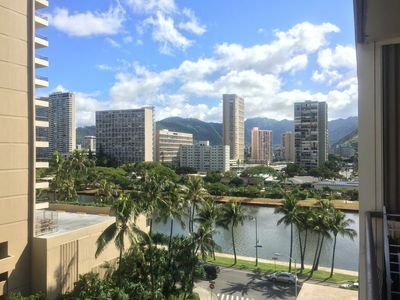 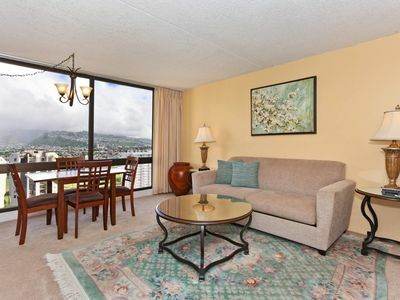 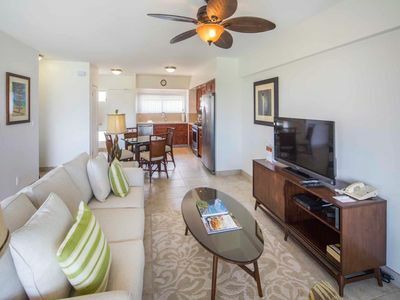 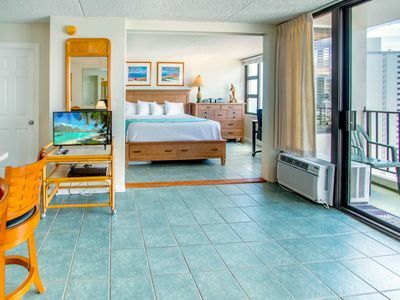 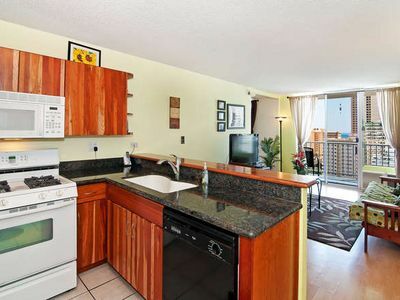 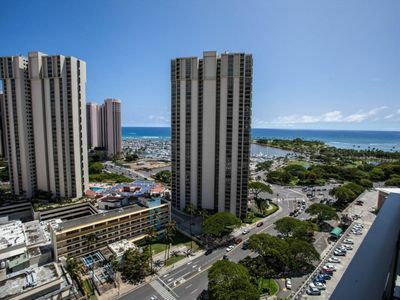 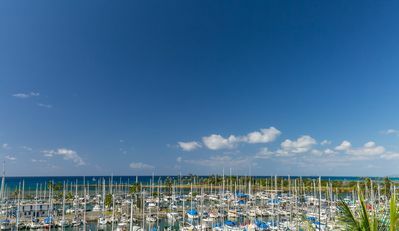 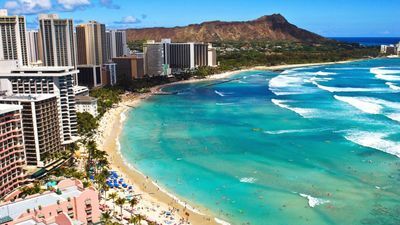 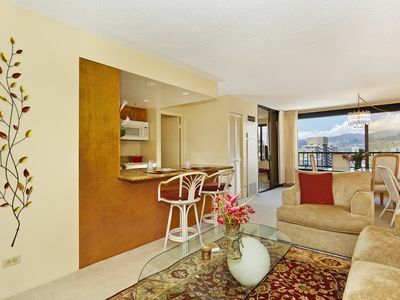 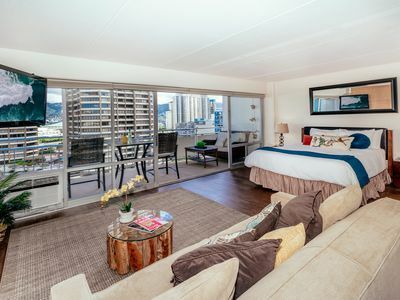 It has an ideal location, next to the beach, within walking distance of many shops, restaurants, Ala Moana Shopping Center, and Hawaii Convention Center. 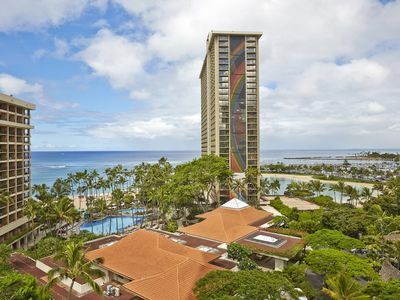 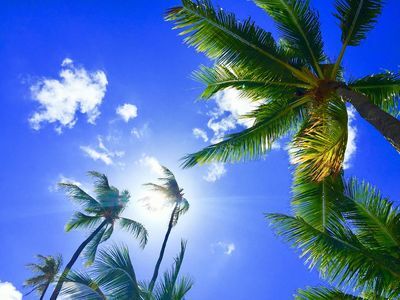 Breathe In The Relaxation At Waikiki Beach!